Lupe Fiasco was recently on The Stream, which is a daily television show and web community created by Al Jazeera English. 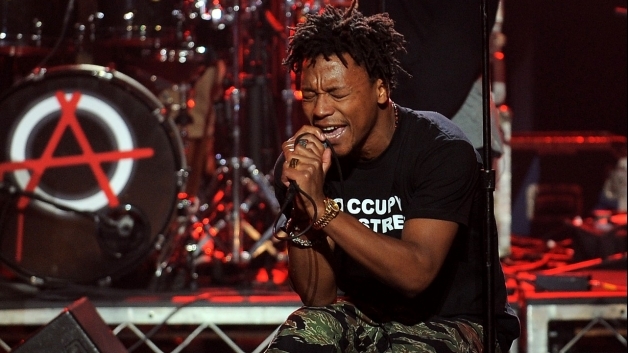 In this episode, Lupe Fiasco shares his thoughts on the Occupy movement. For those who didn’t know, Lupe Fiasco is not only an incredibly talented Hip Hop artist, he is one of the United States’ most outspoken celebrity activists. Amazingly, Lupe Fiasco is proving to the music industry and other artists that your art can have strong political and social overtones and still be commercially viable. As the Occupy movements continue to galvanize support around the nation and the globe, it is important that we pay attention to Lupe’s thoughts and insights on the movement. I hope you find this show informative and empowering. Bring Your A Game, released in 2009 and directed by Mario Van Peebles, is a motivational documentary about the realities facing America’s inner city youth. The great thing about this documentary is not that it features the likes of, Geoffrey Canada, Lupe Fiasco, Ice Cube, Sean Combs and others, but that it provides constructive solutions to the problems facing America’s inner city youth. The solution is bringing your A game through education. If you work with young people, or are a young person yourself, take twenty minutes to watch this film and be inspired. This song is off of Chicago native Lupe Fiasco’s Lasers album (2011). The lyrics are listed below the embedded YouTube video to assist the listener. This is work of art is my favorite song off of the Lasers album. 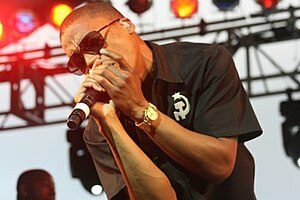 Despite Lupe Fiasco’s critical acclaim and commercial successes with songs like Kick Push and Superstar off of his Food & Liquor (2006) and The Cool (2007) albums, he has created numerous other tracks that analyze society, history, culture, psychology and politics. “All Black Everything” is a perfect example of not only Lupe Fiasco’s lyrical dexterity and poetic abilities but of his highly intellectual perspective on the world now, yesterday and of tomorrow. Interestingly, Hip-Hop artists are frequently criticized for their violent, criminal, misogynistic, and homophobic messages. Lupe Fiasco is clearly at the vanguard of Hip-Hop music, thought and culture and this song highlights that despite the problematic elements of Hip-Hop, there still is a vibrant, progressive and transformative element that rises above the negativity to help inspire, motivate and educate not only the youth but the elders as well. I have enjoyed sharing this track with people my age, younger than me and my elders. The analyses have varied but overall this song created a much needed dialogue for us all. All Black Everything…Share your thoughts and post a comment…Enjoy!